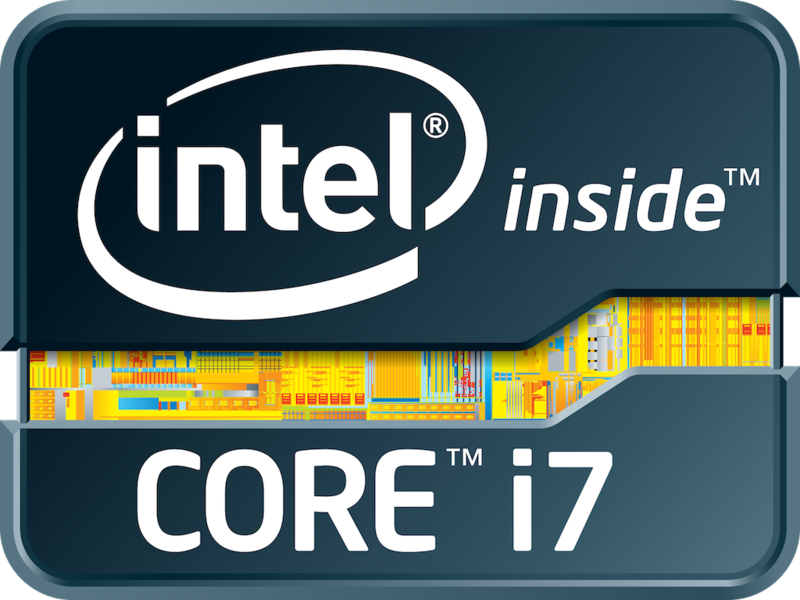 The Intel Core i7-2637M is power efficient ULV (Ultra Low Voltage) processor for thin and light laptops. The base frequency of 1.7 GHz is relatively low, but due to Turbo Boost 2.0, the CPU may clock up to 2.8 GHz (on core loaded, 2.5 GHz with both cores loaded). However, this depends on the cooling and power consumption of the laptop. Due to HyperThreading, the i7-2637M is able to handle 4 threads in parallel. Compared to the slower i7-2617M, the 2637M offers a higher clock speed (processor core and turbo, graphics turbo). Sandy Bridge is the evolutionary successor of the Arrandale architecture. The most notable improvements is the improved Turbo 2.0 and the integration of the graphics card into the 32nm CPU core. The performance of the CPU should be a bit higher than a similar clocked Arrandale Core i5. Thanks to the high Turbo Boost frequencies, the performance should be similar to the Core i3-2310M. However, the laptop cooling system has to keep the processor relatively cool for the Turbo Boost to work often. The TDP of 17W (includes the integrated GPU and memory controller) allows the use of the 2637M CPU in small subnotebooks. The Intel Core i7-2960XM is the fastest quad-core processor for laptops in Q3-2011 and successor to the Core i7-2920XM. Due to the Extreme Edition branding, the CPU should be easy to overclock (unlocked multiplicator). It is based on the Sandy Bridge architecture and offers Hyperthreading to handle 8 threads at once (for a better usage of the pipeline). Compared to the previous Clarksdale quad-cores, the i7-2960XM is now manufactured in 32nm, offers an integrated graphics card and AES functions. Compared to the slower clocked 2860QM, the 2960XM is specified with a higher TDP. Sandy Bridge is the evolutionary successor of the Arrandale architecture. The most noteable improvements are the new 265Bit AVX instructions, the improved Turbo Boost and the integration of the graphics card into the 32nm CPU core. Furthermore, the integrated memory controller was improved and supports up to 8 GB DDR3-1333. The Core i7-2960XM offers an integrated graphics card (Intel HD Graphics 3000) which proved to be clearly faster than the old Intel HD Graphics in the Arrandale CPUs and on a level with entry level dedicated graphics cards like the GeForce 310M. The HD Graphics 3000 also supports Turbo Boost and clocks between 650 MHz and 1300 MHz in the i7-2920XM (therefore it should be similar or faster in the 2960XM). As the graphics card shares the fast last level cache, the processor is a bit slower with activated GPU. Due to the high Turbo Boost, large L3 Cache, and Hyperthreading, the performance of the Core i7-2960XM is only slightly lower than the desktop Core i7-2600K. In 2011 it is the fastest mobile processors for laptops. Therefore, the performance should be sufficient for even the most demanding tasks like HD video editing or demanding 3D games. The high TDP rating of the 2960XM enables the usage of the quad core only in large and heavy laptops (usually 15" and up). Compared to the previous generation (Clarkdale, e.g. Core i7-940XM) of quad-cores, however, the TDP improved, as the integrated GPU is now included.